Spring is in full swing in Central Texas and residents are rejoicing by getting outside, gardening and seeking out local markets. Farmers’ markets dot our Hill Country landscape and Plum Creek residents are perfectly situated to take advantage of this feast of riches. Several markets in Buda, Austin and Dripping Springs lie just north of Kyle’s city limits. The Buda Farmers’ Market takes place every Saturday from 9 a.m. to 12 p.m. on Main Street, in the parking lot of City Hall. Drive a few more minutes north and you’ll find yourself with even more options. The SFC and Hope Farmers’ Markets cater to different areas of Austin, yet all provide locally sourced produce, artisan crafts and live music. SFC markets offer Tuesday, Wednesday and Saturday market days north, south, east and west of central Austin. Hope has two east side markets open Sunday from 11 a.m. to 3 p.m. and Wednesday from 4 to 8 p.m. Just a bit west of Austin, Dripping Springs hosts a Thursday market from 3 to 6 p.m. Local bakers, ranchers, farmers, chefs and craftsmen provide visitors a chance to sample their wares and enjoy a bit of the western Hill Country scenery. Shifting the focus to the east of Kyle, the Bastrop 1832 Farmers’ Market is open Saturdays from 10 a.m. to 2 p.m. and Tuesdays from 2 to 6 p.m. This market functions as a business, with a legislative board, a target market and a charitable arm that donates to local nonprofits. Customers are even polled to gauge their experiences and to find areas that could use improvement. For a full experience that extends beyond the normal market, head to Bastrop to find a seamless operation. On the way back home, stop at the Lockhart Main Street Farmers’ Market, open every Saturday from 9 a.m. to 1 p.m. Along with browsing the fresh produce, baked goods and preserves, visitors can shop artisan crafts and enjoy live music. Traveling south, people in search of locally-sourced produce and goods can find and abundance in San Marcos and Wimberley. The San Marcos Farmers’ Market hosts a Saturday and Tuesday market in two San Marcos locations. Every Saturday from 9 a.m. to 1 p.m., visitors can head to San Antonio St. for fresh vegetables, fruit, baked goods and more. Tuesdays, the market is located on Edward Gary St. from 3 to 6 p.m. If a smaller town experience is preferred, simply head west on Rand Road 12 out of San Marcos until it hits Mill Race Lane in Wimberley, Texas. The Wimberley Farmers’ Market is open every Wednesday from 3 to 6 p.m. and is a strictly produce-only market, so be ready to stock up on fruits and vegetables. For residents who prefer to keep their money local, Kyle has a market closer to home. Just a few minutes north of Kyle, residents can head to the 150 Market located at Michaelis Ranch on FM 150 for a unique farmers’ market that rotates wares. The first Saturday of the month is dedicated to local artists and craftsman while the other Saturdays feature purveyors of fresh produce, garden plants and other foods. Gather the reusable bags and containers, make sure you’ve got plenty of cash and fill up the tank for a fun farmers’ market road trip, near or far. Fall events are a great way to kick off a new season and (hopefully) cooler weather. What if we told you that all the autumn activities you love have been rolled into one fun-filled Saturday extravaganza? Sound good? Well, you’re in the right place. 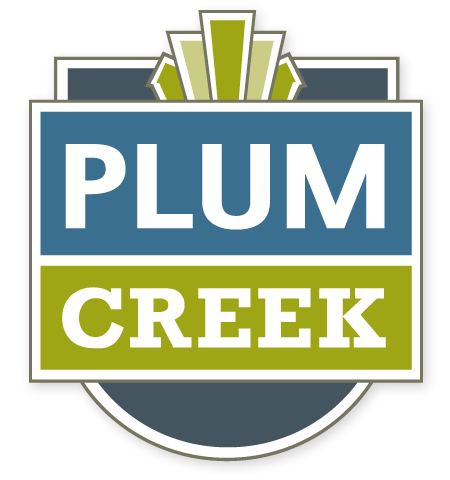 Plum Creek is where it’s at for Hootenanny on the Hill, which takes place on Saturday, October 8th from 10am to 2pm at Fergus Park and Fairway Fields. You may ask, what is this Hootenanny all about? However, a better question would be what ISN’T happening at this event? BBQ & chili cookoff, 5k run, wildflower seed & stomp, scarecrow contest, pet fair, hay rides, petting zoo, the list seems endless! Did we mention the pumpkin carving contest? Or the jump castles and community vendors? Phew, there’s so much going on at this event you simply have to attend so you don’t miss out. Head on over to www.hootenannyonthehill.com to catch the full list of events and details.